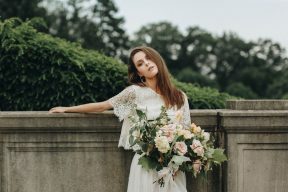 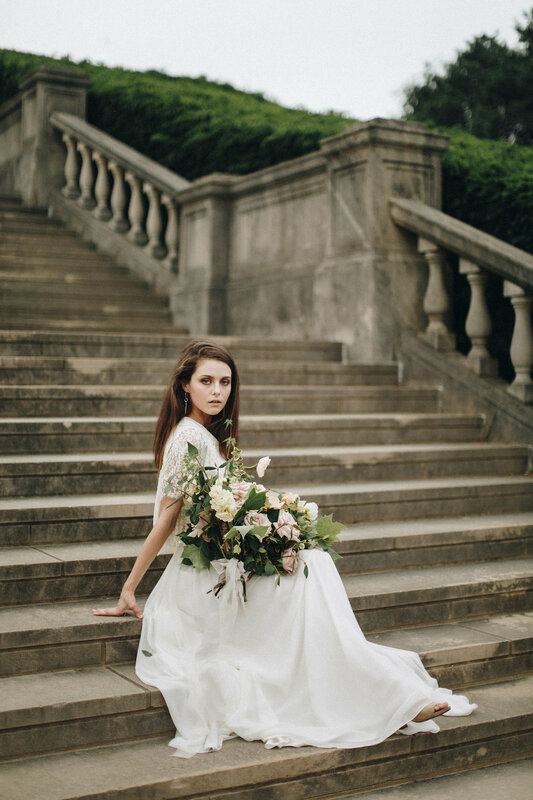 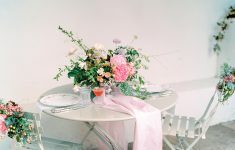 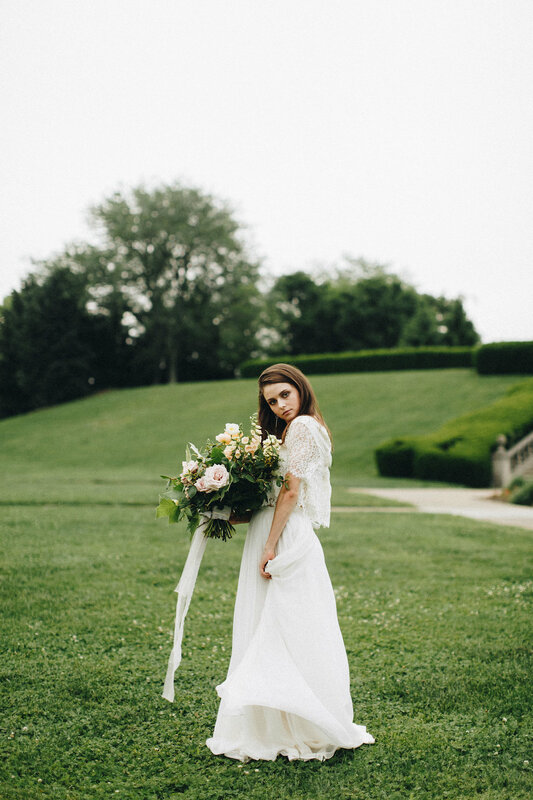 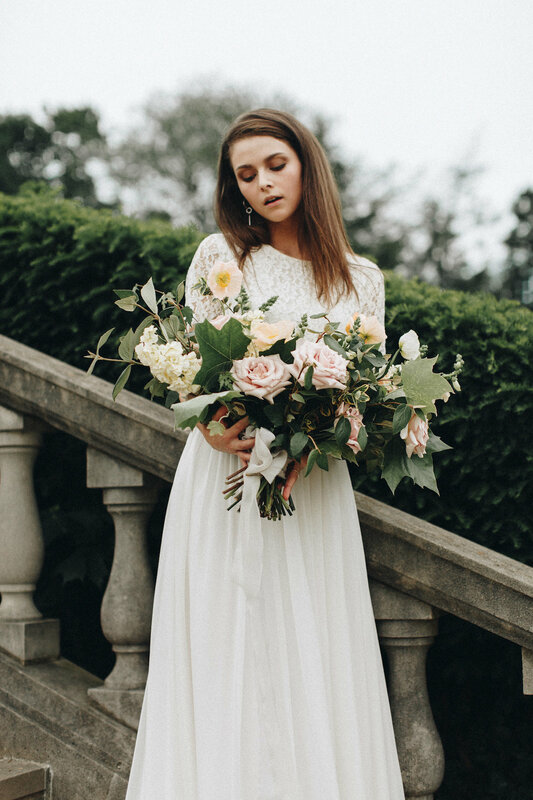 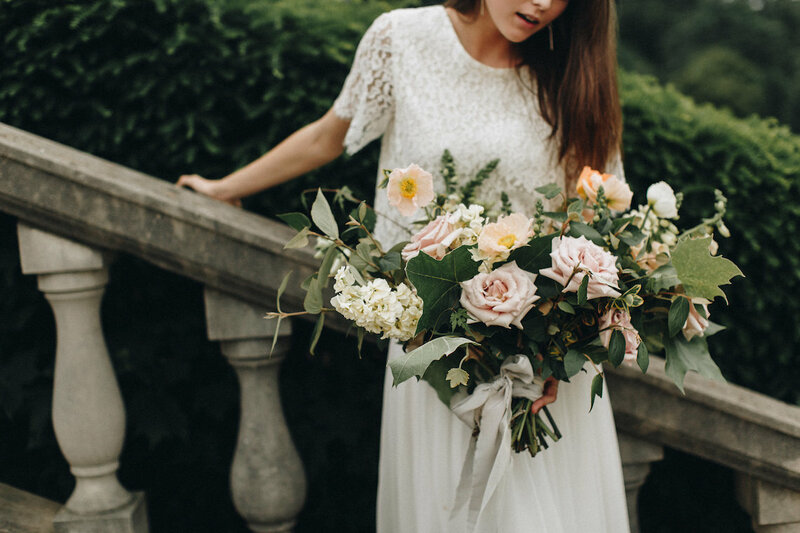 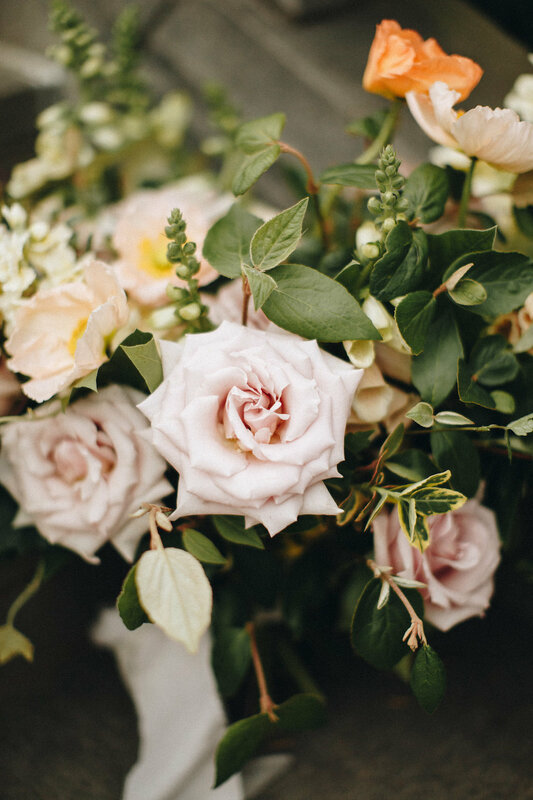 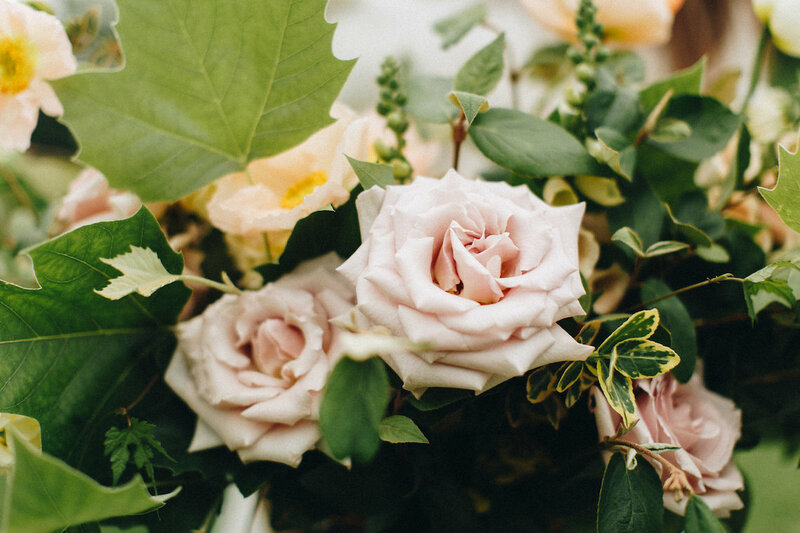 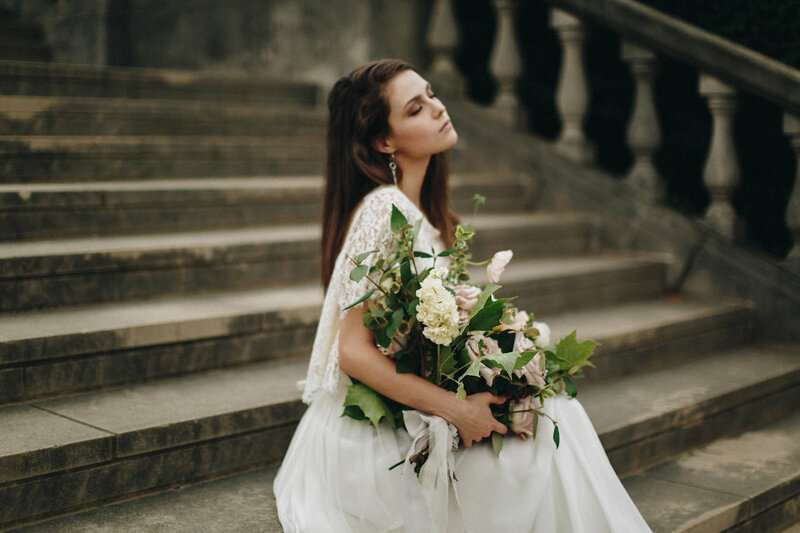 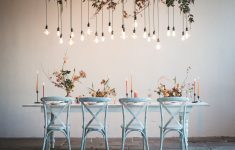 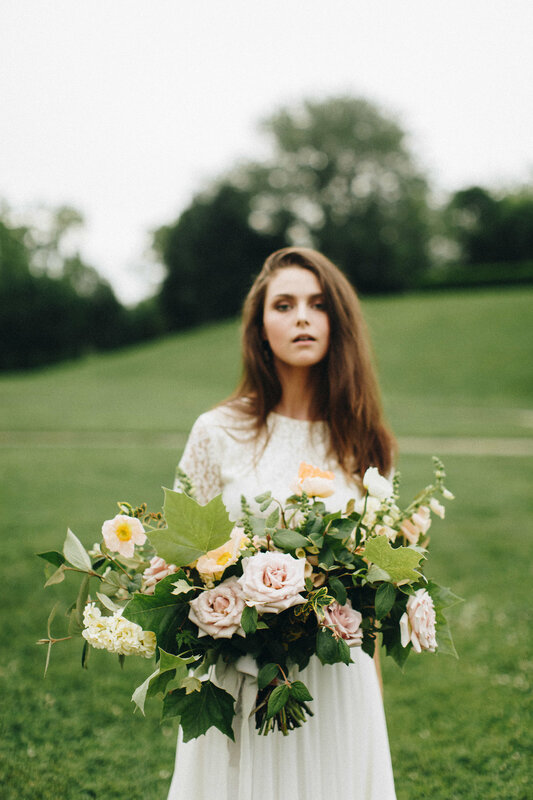 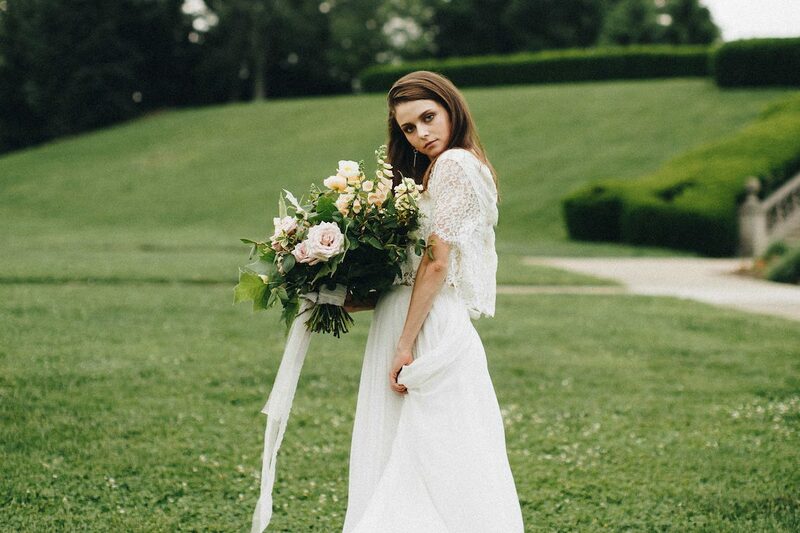 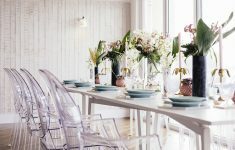 We have been swooning at this styled shoot by Sydney Marie Photography with incredibly beautiful floral design by Eve Floral Co. It’s dreamy inspiration for your Spring or Summer Wedding and where modern meets classical! 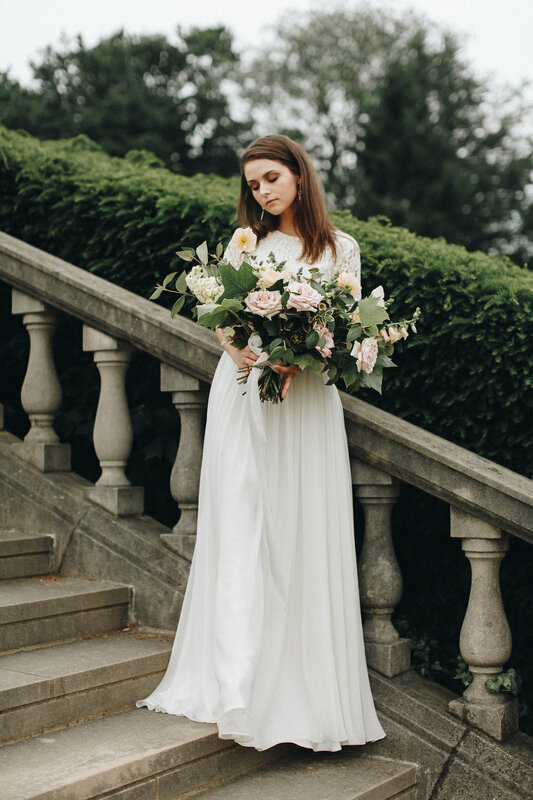 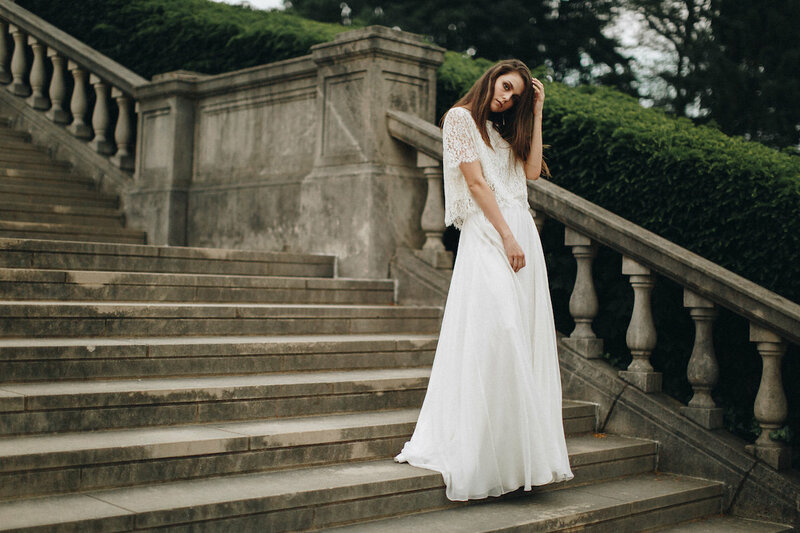 Contemporary elegance with a charming two piece bridal look by Sarah Seven at Lace Bridal Couture – including a lace top with beautiful sleeves and a sleek silk skirt which has the most stunning drape and movement! 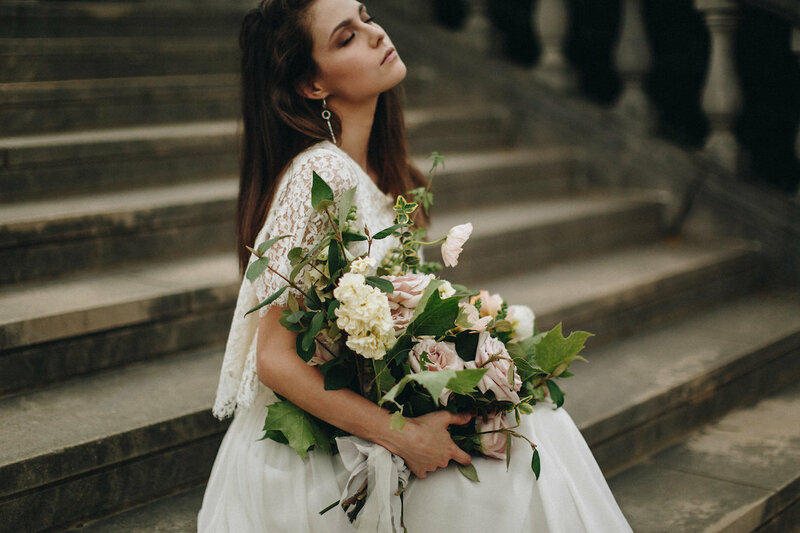 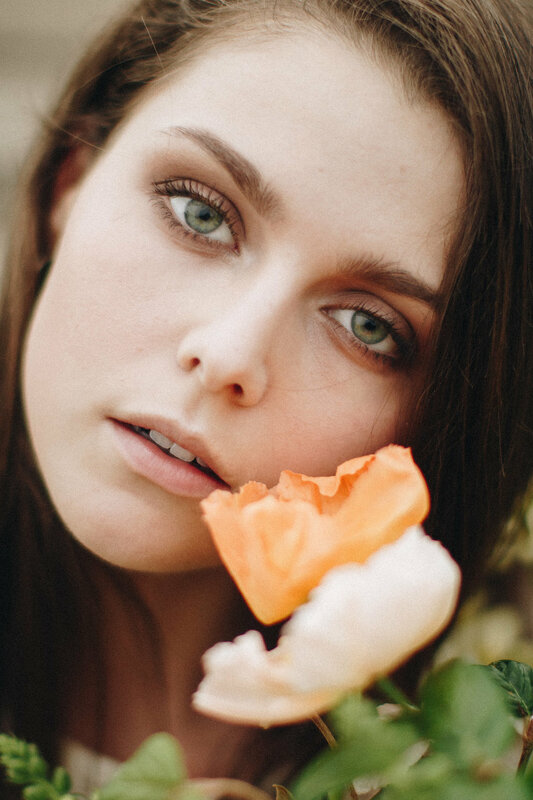 Keeping the Bridal look modern with natural hair and neutral makeup tones and we love this slightly moody, smokey eye too! 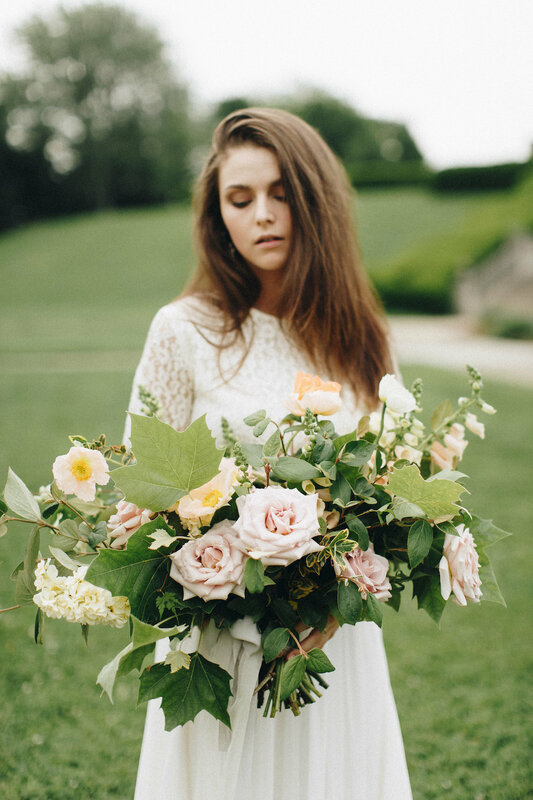 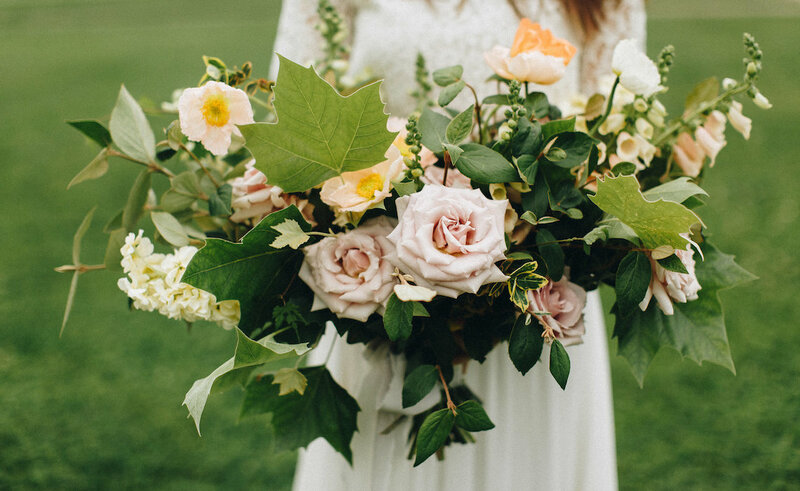 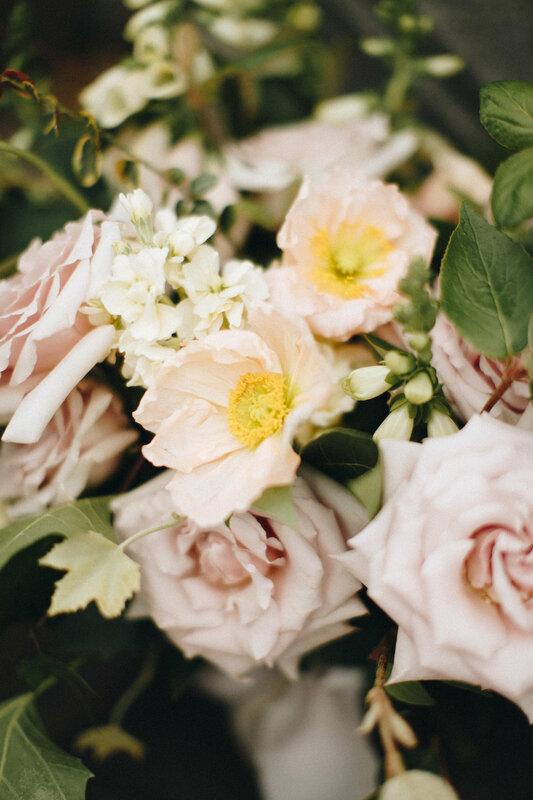 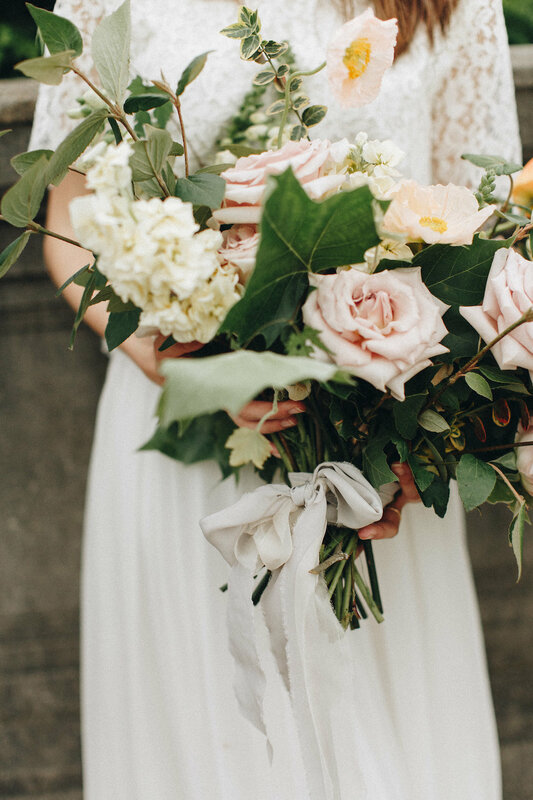 The magnificent bouquet is a show stopper, and includes a mix of creamy yellow stock, orange, cream and white poppies, peach foxglove, viburnum branches and other foraged greenery! 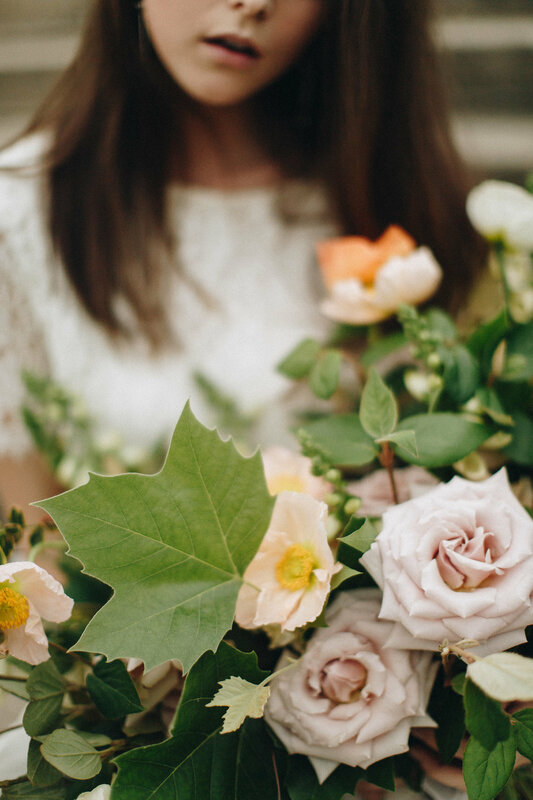 I’m completely in love with the collection of gentle colours but also the textures too – with oversized leaves springing out from behind delicate poppies and foxgloves as though they are dancing.